NOC-PS release v1.83 has just been released. 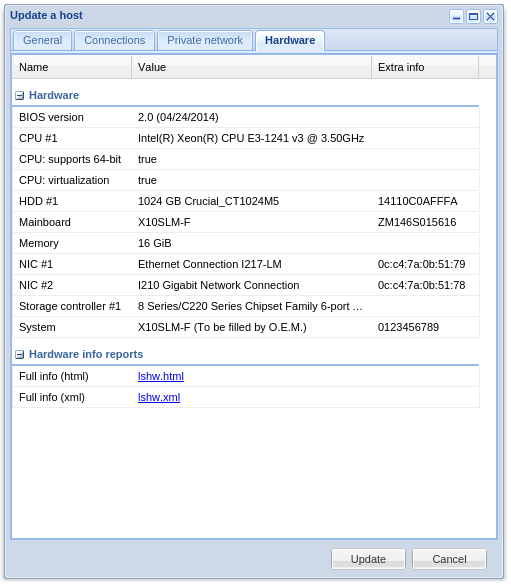 New is the “collect hardware information” profile. When you “provision” a server with this profile, NOC-PS will collect and store the hardware information of the server. It can be viewed in the server’s properties screen.